Truco supplies the full range of Grip L couplings from Straub in South Africa and Africa. They are standard-duty, pull out resistant pipe couplings for all metal pipes, and are designed and constructed to the highest standards. Grip L couplings are ideal for all qualities of water, wastewater, gas and air, acids, fuels, chemical products and solids. The range also includes a stepped coupling version and fire resistant couplings for explosive environments: the FF (Fire Fence) series. 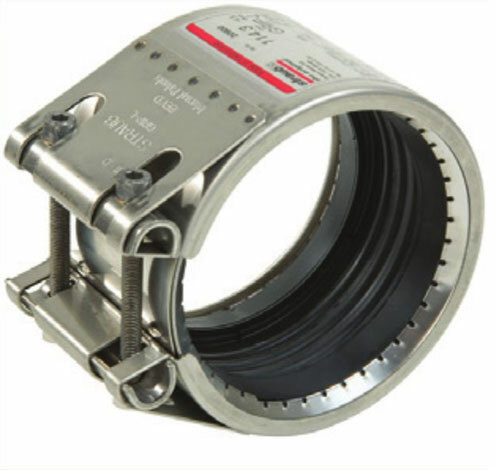 Speak to our couplings division to find out more about Straub Grip L couplings! Call us on +27 11 839 2370 or send us an enquiry.